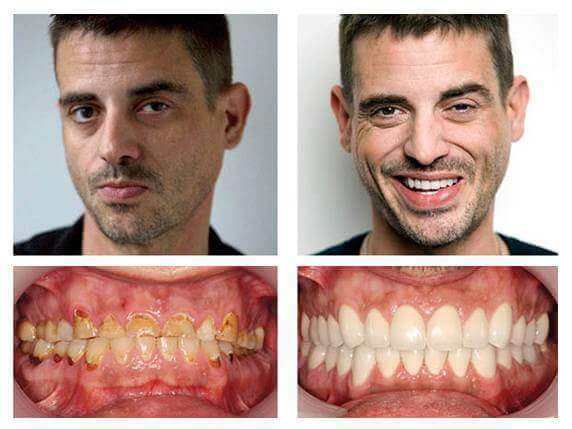 People like you have made positive steps to a healthy smile. They did it! So can you! Jean's story is extraordinary... she not only saved 12,500 pounds but also managed to avoid a very invasive jaw surgery and 3 years of wearing braces just by coming to VitalEurope. Nick opted for a full mouth restoration. 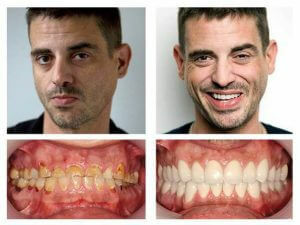 His main reasons to go with VitalEurope were the price and the expertise of the dentists. He liked that VitalEurope has been around for the past 10 years and the fact the we have an establishment in Central-London as a point of reference. Simon did not smile at all having had discolored and crooked teeth. He released money from his pension to cover his dental costs. He could have spent the money on a vacation or a new car but he decided to spend it on himself as a treat. 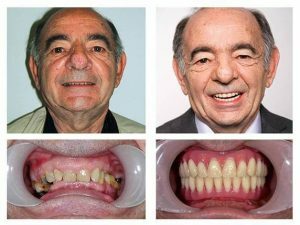 His treatment took 3 months until final completion and now first time in his life -at the age of over 60- he is happy to smile freely. 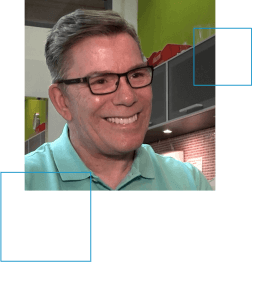 Alan made a very thorough research on dental treatments before he came to VitalEurope. In the video he admits he made the best decision ever by chosing VitalEurope to enhance his smile. 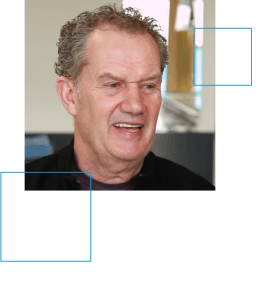 Barry arrived from Surrey and had an extensive treatment that included receiving several implants. He received a full mouth restoration worth of £57,000 but he only had to pay £23,000 at VitalEurope to complete this treatment thus saved 59% of what he'd paid if he got his treatment done in the UK. 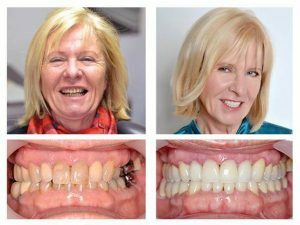 “I would have no hesitation in recommending it to anybody,” says Tracey, a teacher from South-east England, whose happiness and confidence had been restored with her new smile. 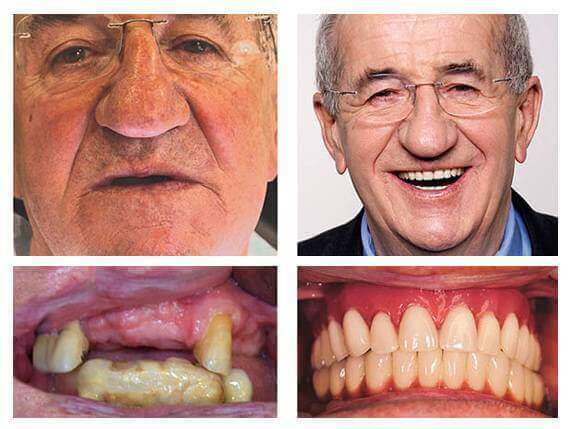 Lionel's story goes way back for decades when he suffered bone loss due to receeding gums. He has been to several dentists and received treatments in the past but all dentists failed to find the bottom of his problem. Eventually he heard about VitalEurope from a friend and started his long, long journey. Watch his story. Anne made 4 trips to Hungary to complete her treatment. 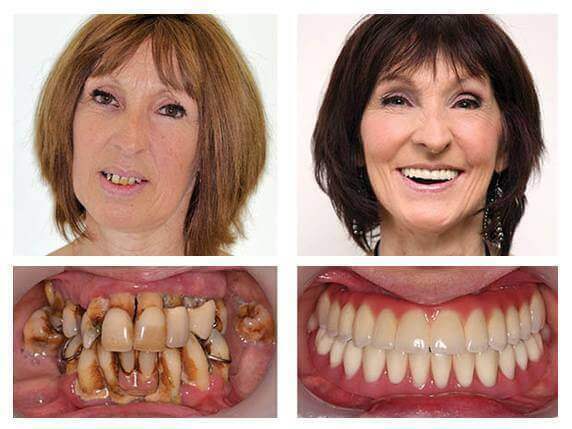 She saved 50% on dentistry by choosing VitaEurope. She is very happy with the results. 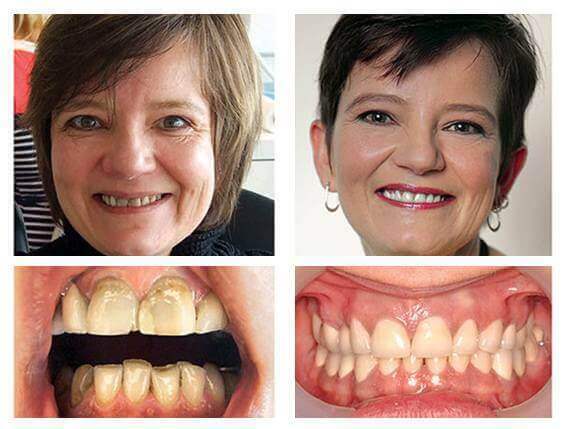 97% of VitalEurope’s customers are more than happy to recommend us, confident that their smiles say it all! We also come highly recommended by the Global Clinic Rating project. As a GCR Accredited clinic, VitalEurope meets the highest medical standards and our Budapest clinic is in the top 1% of 130,000 GCR-rated clinics in the world. Dehlia is a middle-aged lady, professional driving instructor who plays sports quite often. She wanted her grandchildren to find her prettier so decided to have her dental treatment at VitalEurope. 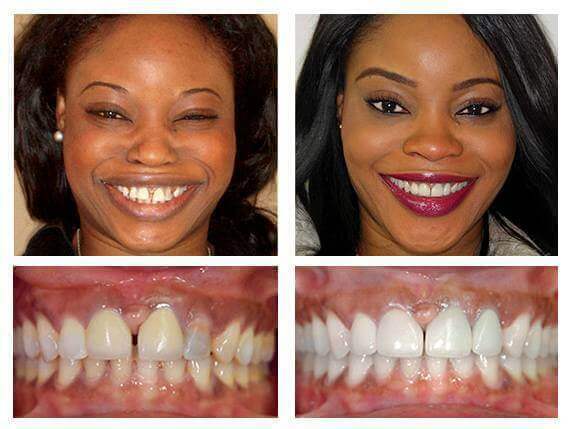 She received 16 porcelain-fused-to-metal crowns and 8 porcelain veneers, all in a single trip to Budapest. She paid £6,027 and we all agree that this metamorphosis has knocked at least 20 years off her age! If she did it, so can you! Diego's teeth had been badly worn and coloured due to heavy medication. He received porcelain fused to gold crowns with aesthetic shoulders. His biggest fan was his little mops puppy who was beside him through the treatment in Budapest and really liked the owner's new smile. Francoise has been fighting her inhibitions for years after she finally made up her mind to fix her teeth. She had seen Budapest 9 years ago as a tourist and heard about the excellent reputation of Hungarian dentists. She made 4 trips to Budapest during which she had several extractions, sinus lift with bone substitution. 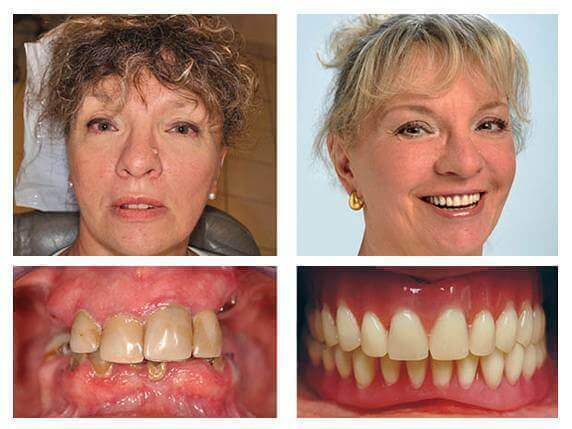 She received retained dentures on the lower and fix solution package on the upper jaw. She wasn't afraid of the treatment as she sat all her confidence in her treating doctors. 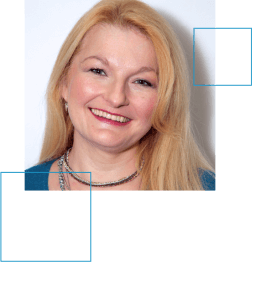 Let us tell you about Ludka and the moment her life changed for the better – forever. Ludka's daughter convinced her to come to Budapest for dental treatment. 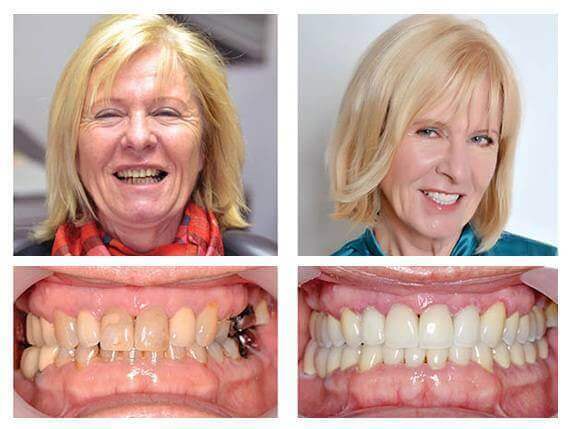 During her 10 day stay she received 27 porcelain fused to metal crowns. The whole thing cost Ludka little over £4,800 and the amazing results show just how much difference metal-fused crowns can make to a smile. We'll never forget the moment Ludka saw her new smile in the mirror for the first time and was so overjoyed she cried tears of happiness. Martial, an active hunter from France made 3 trips to our clinic in Budapest. After several extractions, 12 Alpha Bio implants were placed in his upper and lower jawbone. After the compulsory healing period he received crowns on his lower jaw and retained denture with clip bar system on his upper jaw. He was delighted with the reults and said all efforts were worth it. Pascal works as a plumber in Marseille. He received a quote of over £36,000 from his local dentist. 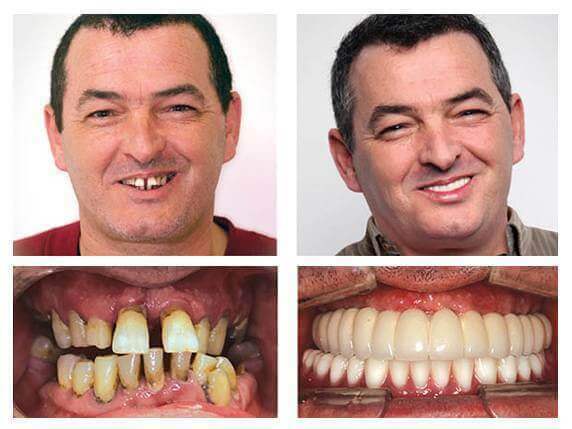 He received 10 implants with crowns and an overdenture for less than £15,000. 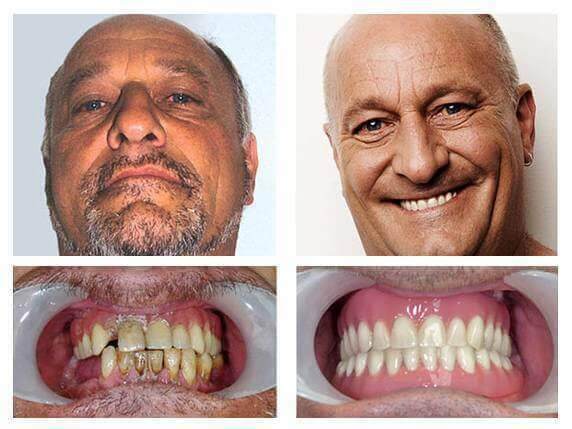 He was extremely happy with the result nevertheless the savings ha made by getting his teeth done at VitalEurope. Tracey is a lovely young teacher from the South-East of England. She had been struggling with her teeth since she was a child. 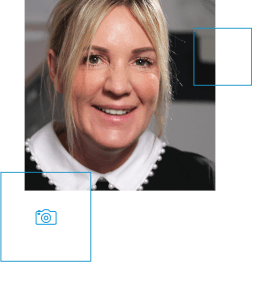 After several visits to UK dentists - who all suggested her teeth to be removed - and constant negative comments from students, Tracey made up her mind and called VitalEurope as her chance. Her call was forwarded to an answerphone but we called her back and set up a consultation with one of our dentists in London. Tracey was scared, ashamed and worried at the same time. 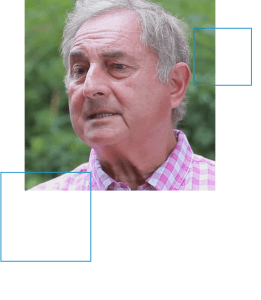 She cried at the consultation, but Dr. Peter Dudás's quiet personality convinced her. 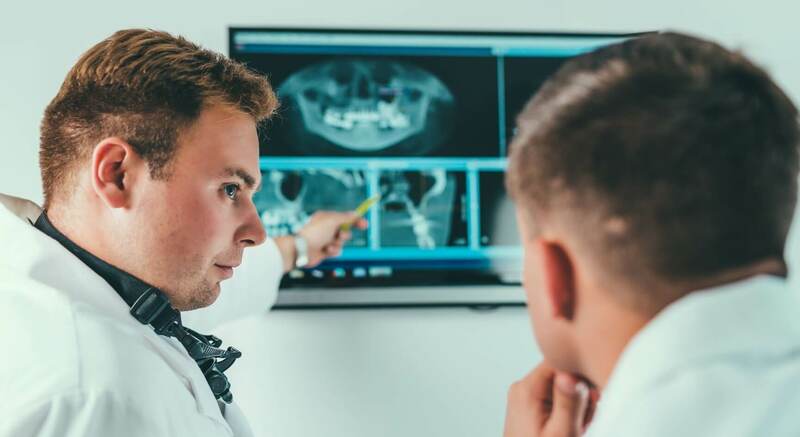 All's well that ends well: after a few root canal treatments she received 20 porcelain-fused crowns with aesthetic shoulder porcelain for £7,576. We absolutely adore her look! 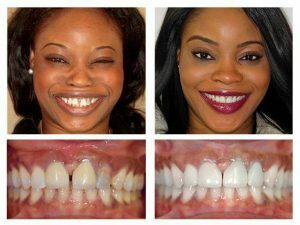 Zuky wasn't satisfied with her teeth as she had a severe gap between her front incisors and protruding teeth which made her smile unattractive. 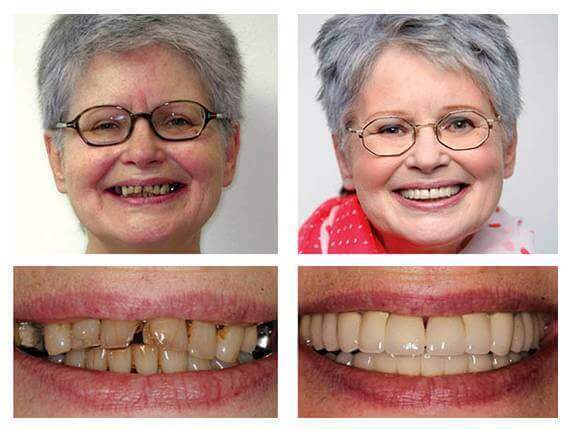 She wore Alexander braces for 2 years and later she received a few Procera crowns. She has gone a long way to have this smile but we agreed that it was all worth it! Her complete treatment was £4,860. 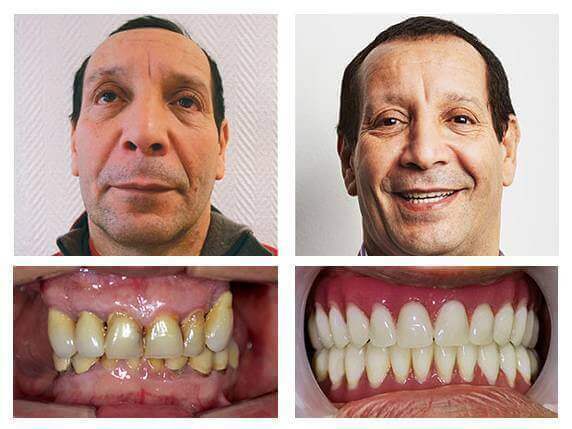 Mr. Bourbia was delighted to get his teeth done by VitalEurope. He made 4 trips to Budapest and always asked for a VitalEurope apartment. 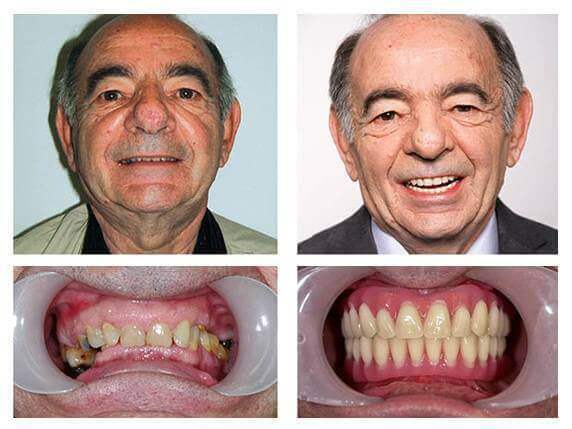 After several extractions he received retained dentures on both jaws supported by 8 Alpha Bio implants. 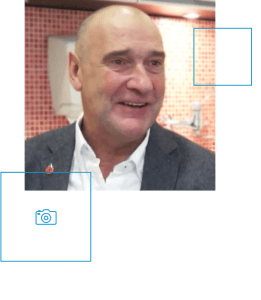 He paid £8,227.At each appointment he brought some small present to our staff's kids.He was so satisfied with his treatment that he keeps on recommending VitalEurope to his friends. Benoit works as a plumber in Southern-France. He arrived to Budapest with his family. 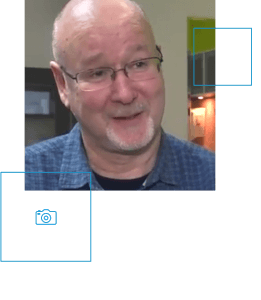 After several extractions he received implants with retained dentures. During his treatment he and his family travelled around Hungary. He was crying from happiness when he received his final work. Christelle lives in France, close to the Swiss border and works in Geneva at a law firm. Since she loves animals she also has a volunteer job at an animal shelter. She received Alpha Bio implants and a set of porcelain fused to metal and Procera crowns. 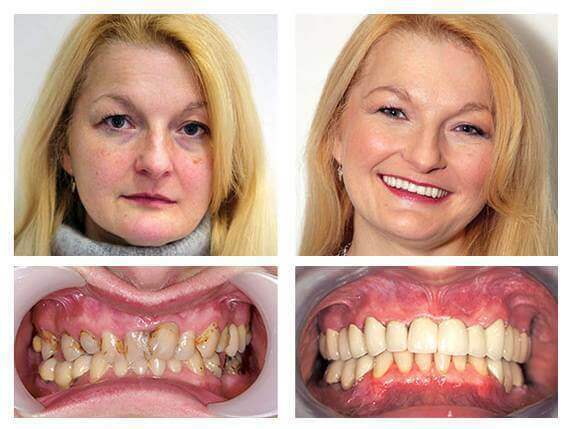 She cried from happiness when she received her new smile. She says she got her life back by getting her teeth done. Irene had been saving money for years to regain her confident smile. Her remaining teeth were in very bad condition so Dr. Velich made some extractions and replaced them with implants and denture. After the treatment was completed, Irene told us what a great feeling was to bite an apple again. oseph is retired, formerly he used to work as a care taker. As a member of a brass band his teeth have to be in a good condition in order to play the instrument. He made 3 visits to Budapest during which he had 17 extractions and received 8 Nobel Biocare Replace implants and dentures attached with a clip bar system. Now he can play his instrument without any barrier.